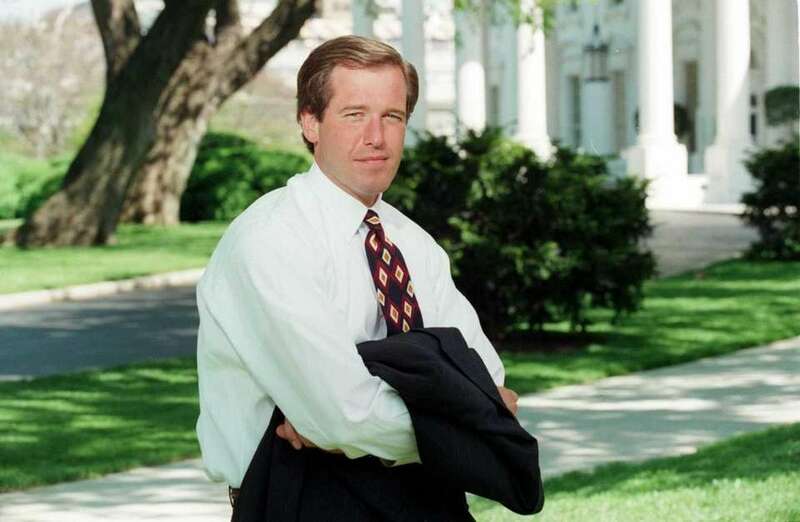 A look at the career of Brian Williams, who is leaving "Nightly News" after he admitted an anecdote he'd told for more than a decade, about being in a helicopter shot down by enemy fire in Iraq in 2003, was untrue. NBC News correspondent Brian Williams on June 20, 1995. 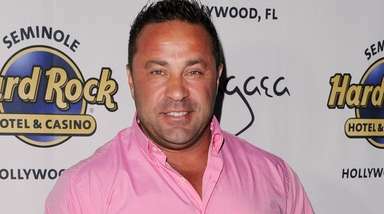 He joined the network two years earlier. 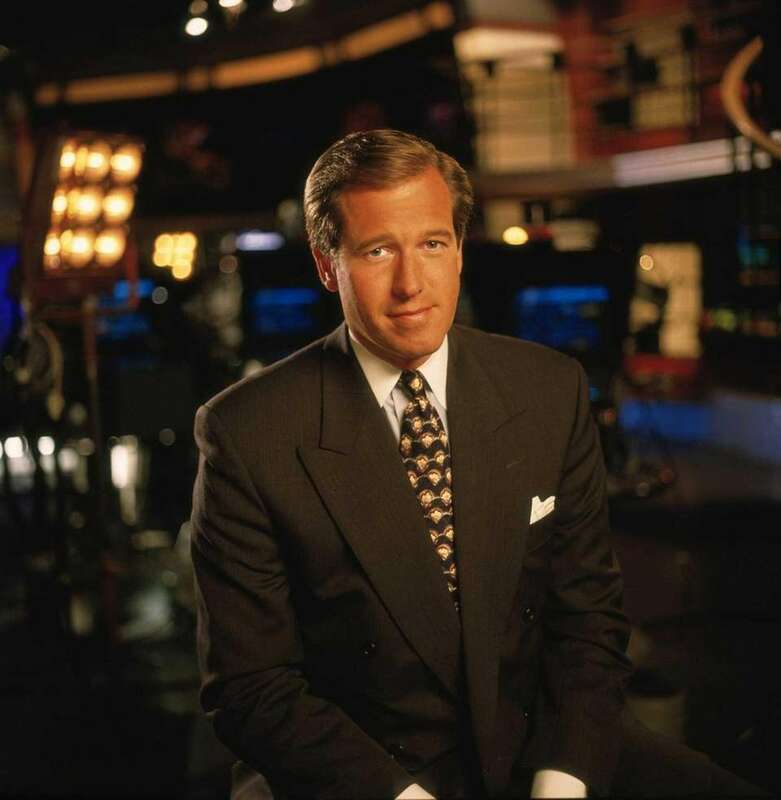 "NBC Nightly News" weekend anchor Brian Williams on Sept. 18, 1997. 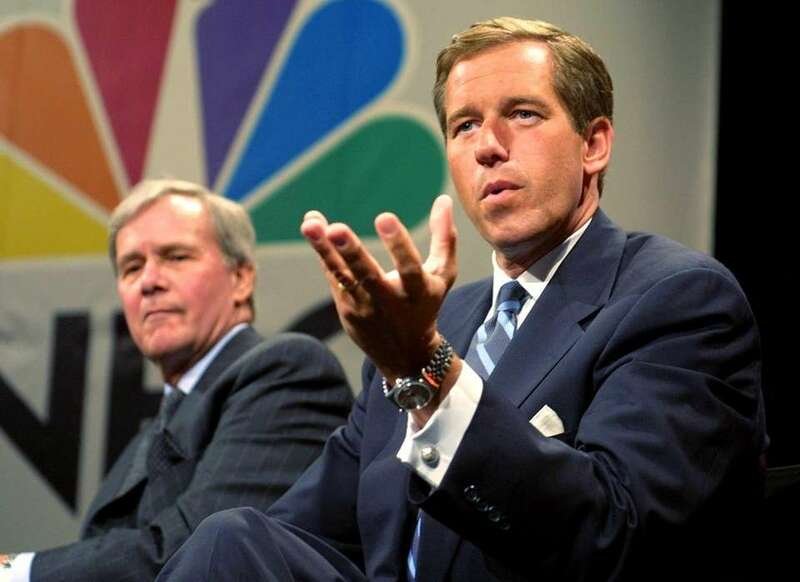 "NBC Nightly News" anchor Tom Brokaw, left, and Brian Williams during a news conference on May 28, 2002. Williams succeeded Brokaw as the network's chief anchor on Dec. 2, 2004. NBC anchor Brian Williams dines with servicemen aboard the amphibious assault ship USS Tarawa at sea in the Arabian Gulf on March 13, 2003. Brian Williams, right, with Dental Technician 1st Class Ervin Borja aboard the amphibious assault ship USS Tarawa at sea in the Arabian Gulf on March 13, 2003. TV news anchors Brian Williams, left, Tom Brokaw and Walter Cronkite attend the International Radio and Television Society Foundation's Gold Medal Dinner at the Waldorf-Astoria hotel in Manhattan on March 16, 2004. 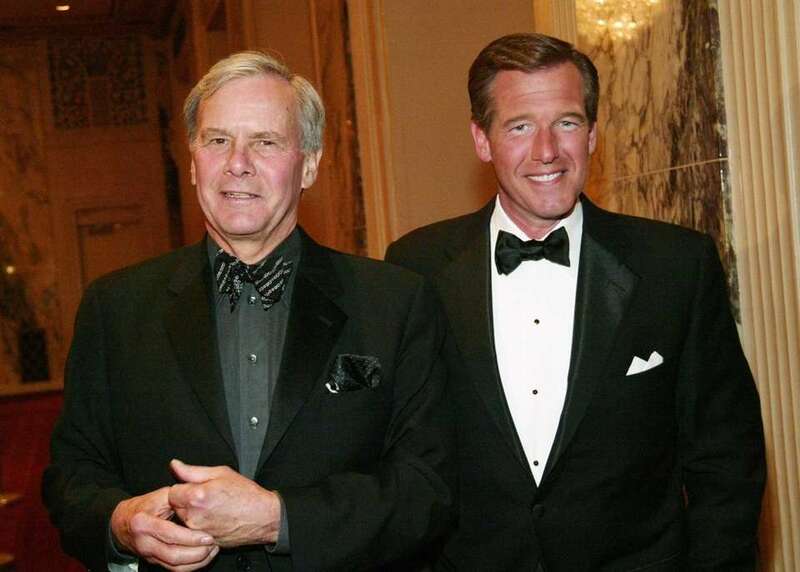 NBC News anchors Tom Brokaw, left, and Brian Williams attend the International Radio and Television Society Foundation's Gold Medal Dinner at the Waldorf-Astoria hotel in Manhattan on March 16, 2004. Brian Williams at NBC News in Manhattan on Dec. 1, 2004. 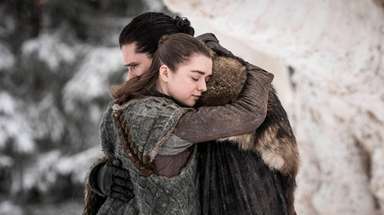 He replaced Tom Brokaw as anchor of "NBC Nightly News" the next day. 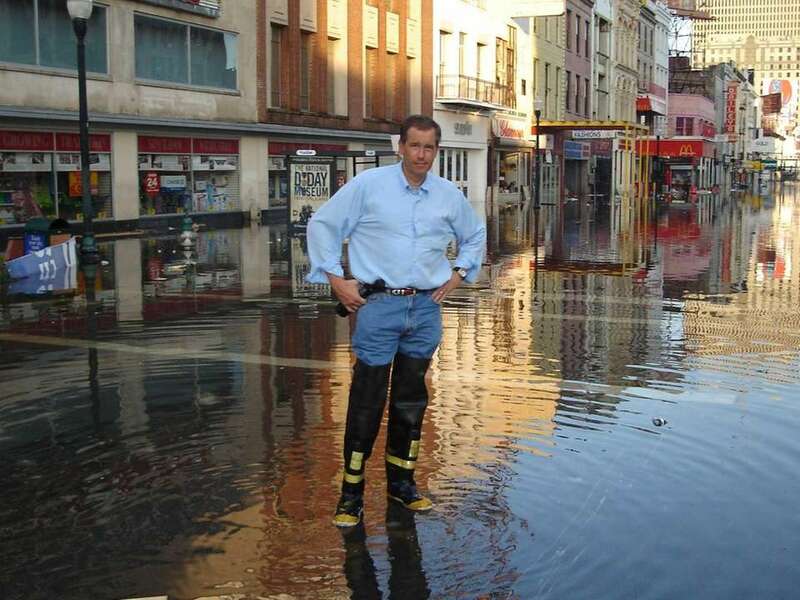 "NBC Nightly News" anchor Brian Williams reports from New Orleans in the aftermath of Hurricane Katrina in 2005. 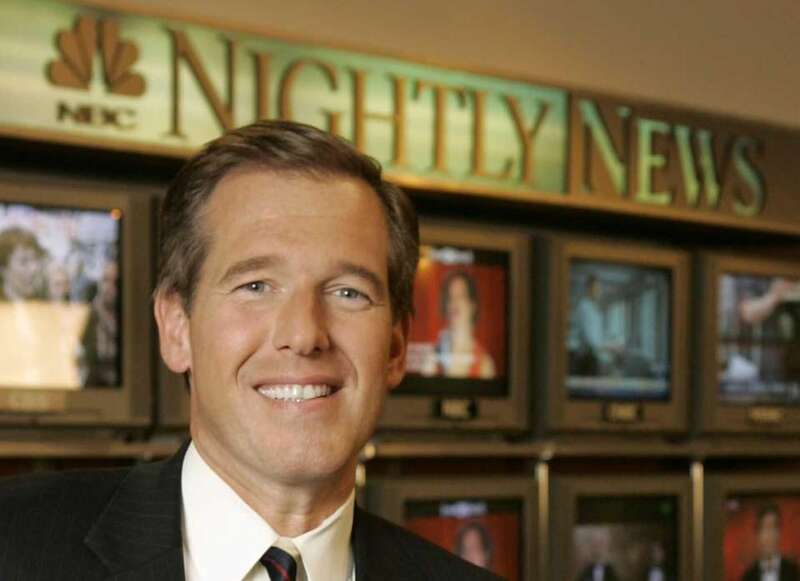 "NBC Nightly News" anchor Brian Williams on Feb. 20, 2007. 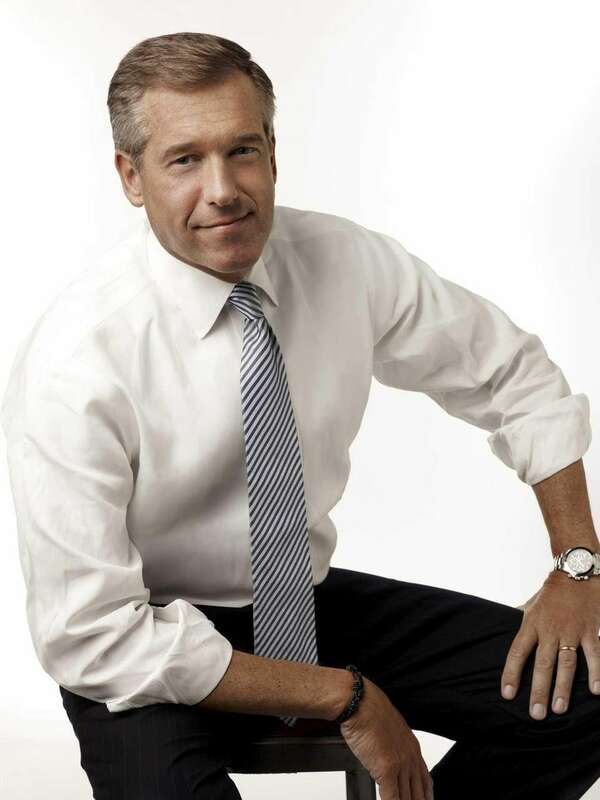 Brian Williams, anchor and managing editor of "NBC Nightly News," with American military reports from Camp Liberty in Baghdad, Iraq on March 8, 2007. 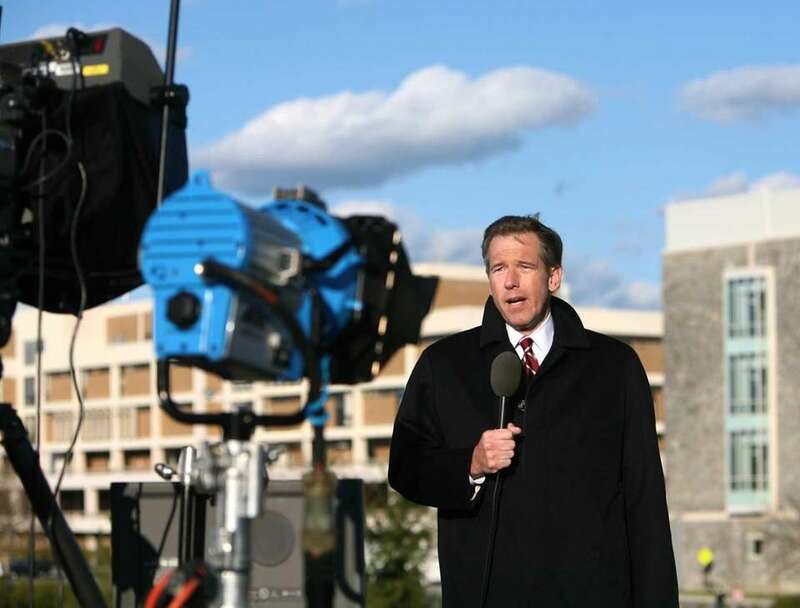 "NBC Nightly News" anchor Brian Williams reports from the Virginia Tech campus in Blacksburg, Virginia, in the wake of the shooting massacre in April 2007. NBC News anchor Brian Williams and Jeff Zucker, president and chief executive of NBC Universal, attend the International Consumer Electronics Show in Las Vegas on Jan. 9, 2008. Brian Williams visits with U.S. Special Forces in Afghanistan on June 12, 2008. Moderator Brian Williams watches a video which pays tribute to late moderator Tim Russert during a taping of "Meet the Press" at NBC studios in Washington, on June 22, 2008. Williams announced that former Nightly News anchor Tom Brokaw would temporarily host the show through the presidential elections in November 2008. 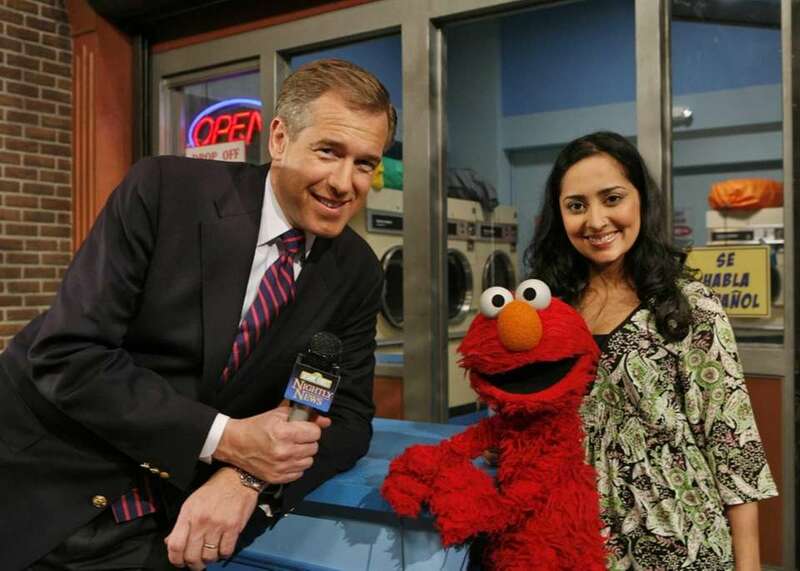 NBC anchor Brian Williams on the set of "Sesame Street" with Elmo and Leela (Nitya Vidyasagar) at Kaufman Astoria Studios in Queens on March 31, 2008. 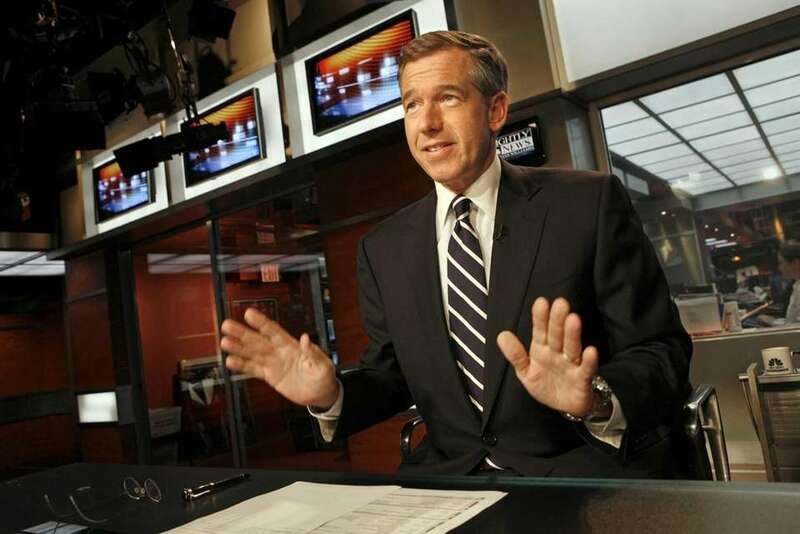 "NBC Nightly News" anchor Brian Williams in 2009. 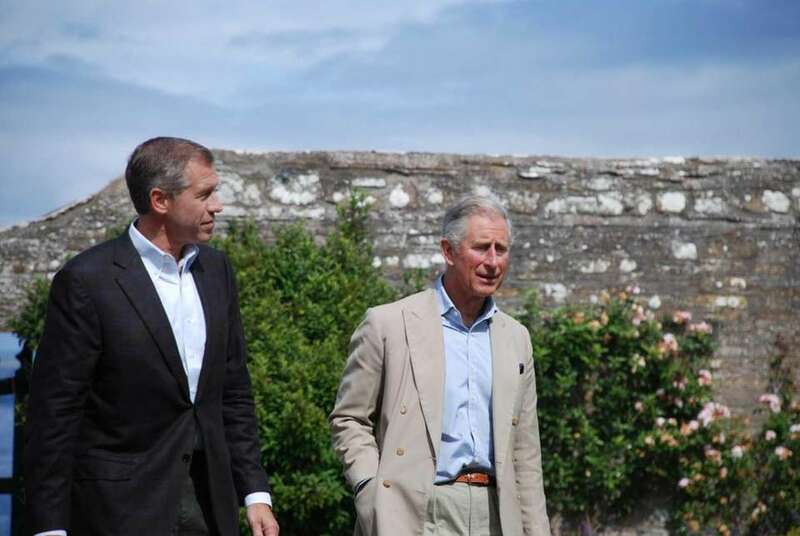 NBC anchor Brian Williams interviews Prince Charles in England for a "Dateline" special that aired on Nov. 19, 2010. 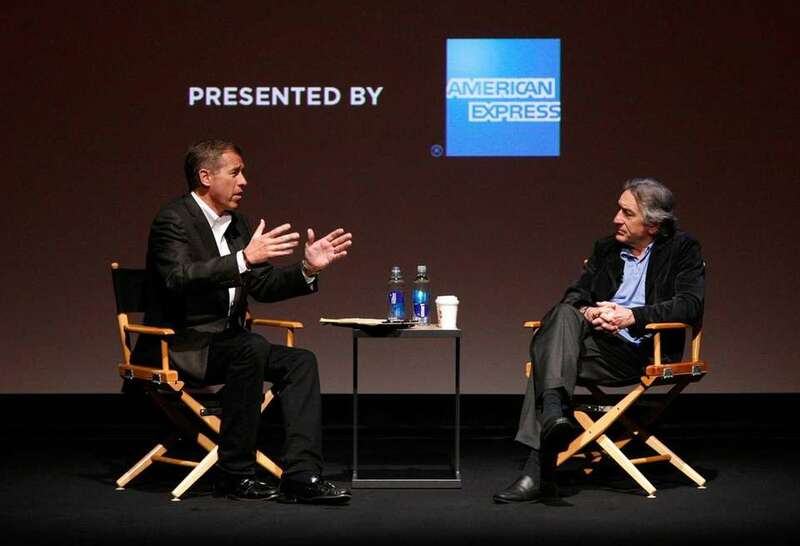 NBC anchor Brian Williams interviews Robert De Niro as part of the "Tribeca Talks: Directors Series" during the Tribeca Film Festival in Manhattan on April 23, 2011. NBC anchor Brian Williams and his wife, Jane Stoddard Williams, attend the New York City Center grand reopening gala at Cipriani 42nd Street in Manhattan on Oct. 25, 2011. Brian Williams attends Cantor Fitzgerald and BGC Partners' annual charity day on 9/11 to benefit over 100 charities worldwide at Cantor Fitzgerald in New York City, Sept. 11, 2012. NBC anchor Brian Williams and his daughter, actress Allison Williams, attend the "Girls" season three premiere after-party at Jazz at Lincoln Center in Manhattan on Jan. 6, 2014. 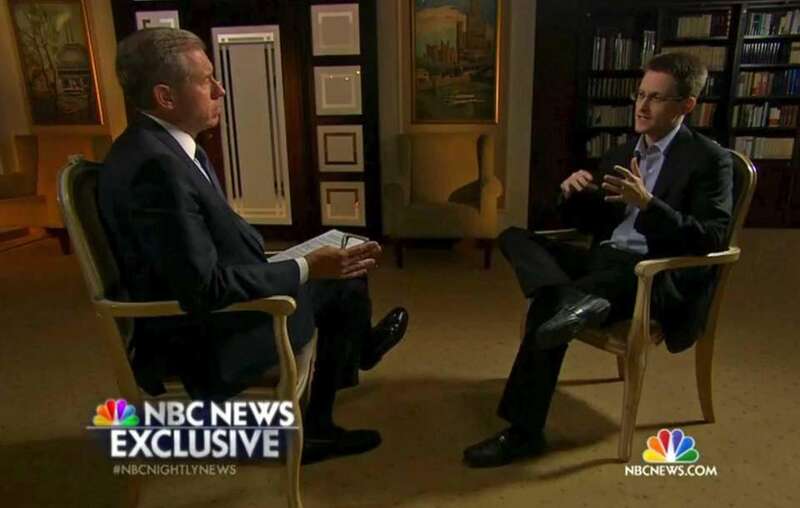 NBC anchor Brian Williams interviews NSA whistle-blower Edward Snowden in Russia on May 27, 2014. The NBC News exclusive, which aired May 28, was Snowden's first U.S. television interview since leaking classified documents to the media in 2013. 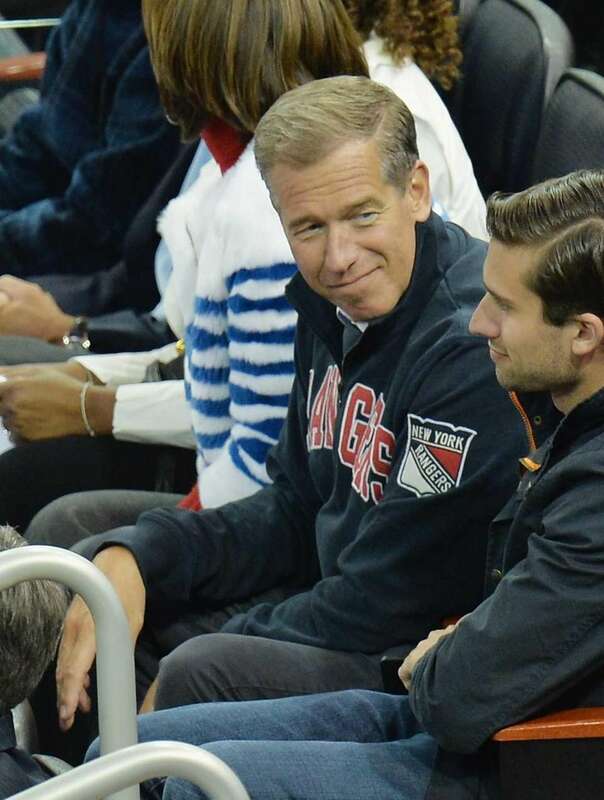 NBC anchor Brian Williams attends Game 3 of the NHL Stanley Cup Final at Madison Square Garden in Manhattan on June 9, 2014. NBC anchor Brian Williams speaks at the Stand Up for Heroes event at Madison Square Garden in Manhattan on Nov. 5, 2011. 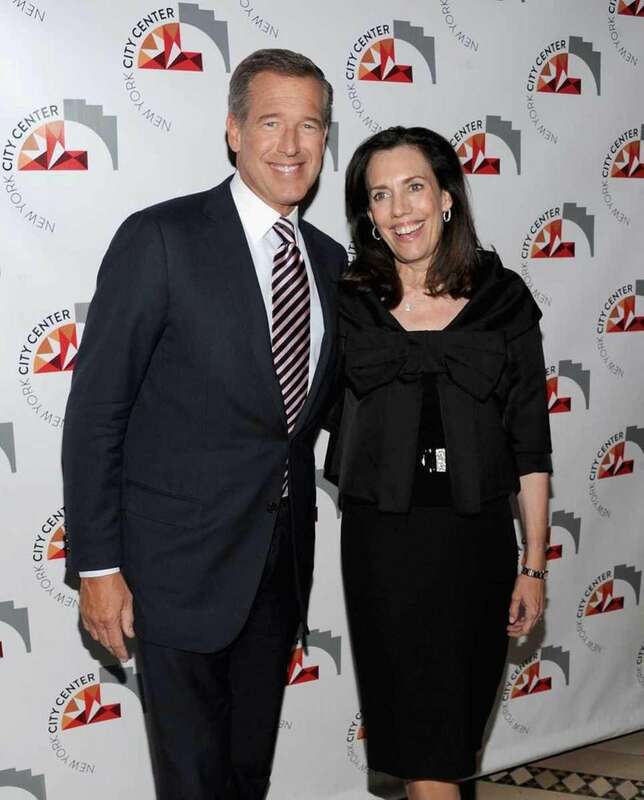 Brian Williams hosts The Lincoln Awards: A Concert For Veterans & The Military Family presented by The Friars Foundation at John F. Kennedy Center for the Performing Arts in Washington on Jan. 7, 2015. Brian Williams and Seth Meyers at Il Buco Alimentari & Vineria in Manhattan on Jan. 14, 2015, in celebration of Williams' daughter Allison Williams' Glamour magazine cover. 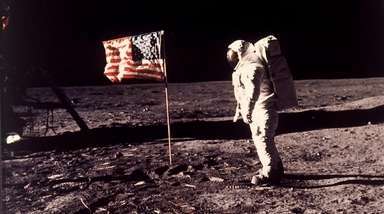 Lester Holt through the yearsPhotos of American journalist Lester Holt throughout the years. 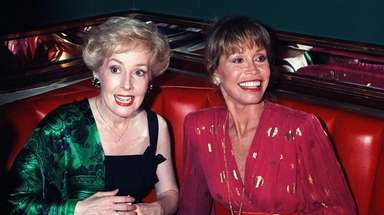 NBC's 11 greatest shows of all timeTake a look back at the hit shows that contributed to the network's glory days.